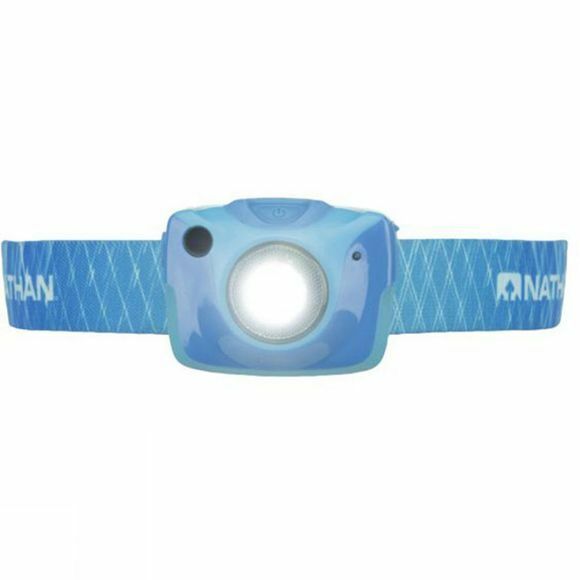 The Nathan Nebula Fire is packed with features that will make your night runs safer. This lightweight, multi-beam, rechargeable headlamp comes in three exciting colors, and offers over 192 lumens of clean, eye-pleasing light. A powerful, customized LED disperses the perfect Run-Right Light for runners, blanketing both distance and proximity, creating a less tenuous night running surface. There are five lighting modes: low, medium, high, sprint, & strobe–with a maximum burn time of 25 hours.